Long before the big car boom of recent years, Chinese diplomats needed high-end transportation. 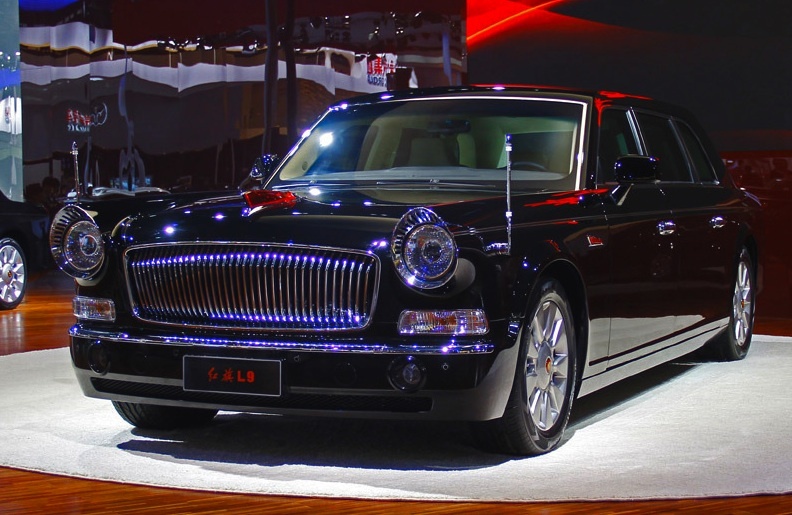 Rather than stick leaders like Hu Jintao into a Rolls-Royce or Mercedes, the government created and built its own luxury brand: Hongqi. Founded in 1958, Hongqi means “red flag,” which is a pretty cool name for an automaker, no matter how you look at it (or say it). For years, Hongqi built huge and rather retro-looking luxury limos and sedans for the Communist party hierarchy. Now that China has become the world’s largest luxury vehicle market, however, the once extremely exclusive brand is looking to make its public debut with the L9. Shorter than the nearly 20-foot long version that transported Hu Jintao, the production version will have a wheelbase of 3435mm (or just over 11 feet), according to a GTSpirit report. Under the hood, designers have left the stock V12 engine, which produces around 400 horsepower and 405 pound-feet of torque. When it’s all said and done, the L9 is expected to cost over $1 million. Is it really worth it? Maybe not to a Chinese person but should something like that go on sale outside the Great Wall, I’m sure it could fetch that much. We absolutely love the 1950s British-looking front end, which has been mated to a Bentley-like body. Should one of us ever find ourselves as the unforgiving dictator of a far off land, we’d likely choose the Hongqi over one of its European rivals. Something about it says timeless elegance with just a hint of old-school iron-fisted brutality. We like it.